Offensive lineman are used to getting little notoriety. It comes with the territory. Yesterday, the Ducks picked up a verbal commitment from 3-star offensive lineman Jacob Capra adding him to the long list of under-the-radar recruits who have developed into elite line talent for the Ducks. Capra, 6’5″, 265 pounds, committed Oregon on Thursday, after receiving offers from Washington, Washington State, Oregon State, Arizona, Arizona State, California, UCLA and Utah, among others. He made his decision public on Twitter Thursday afternoon. 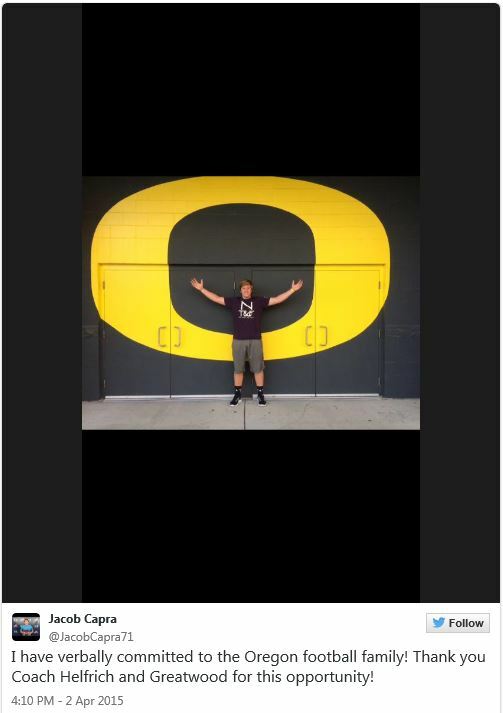 Capra chose the Ducks despite his brother Johnny signing with Utah as part of the 2015 class. 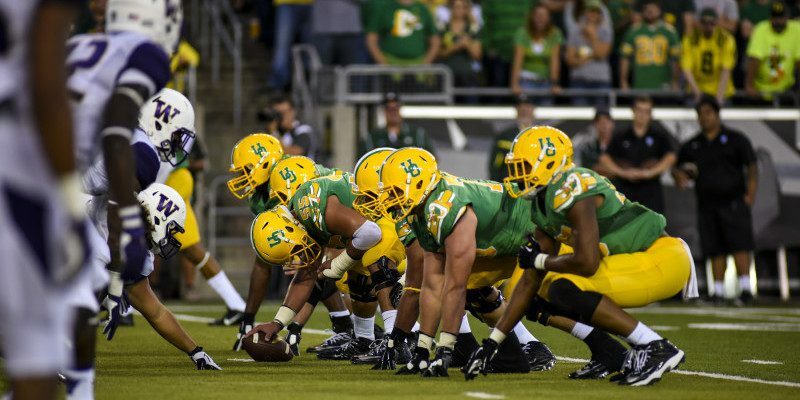 Credit should go to the Oregon coaching staff and especially long-time offensive line coach, Steve Greatwood for not only identifying talent but also developing that talent into a unit that produces one of the top offenses in all of college football year in and year out. Oregon fans should be very excited to land this student athlete with a 3.75 GPA and a mean streak you can watch for yourself in the video below.